Every mallard duck season, Lost Quarter Farms in Missouri hosts hundreds of hunters who come from all over the world to experience a true, professional hunting lodge. Our hospitality is second to none, and as soon as you walk through the doors at Lost Quarter Farms, you are a part of the family. With warm, comfortable rooms and a hot meal waiting for you, your Mallard Duck hunt will be one you’ll always remember and you’ll look forward to year after year. Our guests can speak with our expert field guides for ideal hunting grounds info, perfect blind set up and much more, or better yet, take them out with you and you can have your own personal guide to help with the trip. This is especially helpful for all of our novice hunters who could use guidance during the hunt. A hunting trip at Lost Quarter Farms in Mendon, Missouri will truly be a trip to remember. 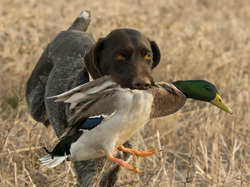 Mallard duck hunting season is never too far away to make your reservation with us. We would love to experience the thrill of the hunt with you, so contact us today to book your reservation. We hope to see you soon!